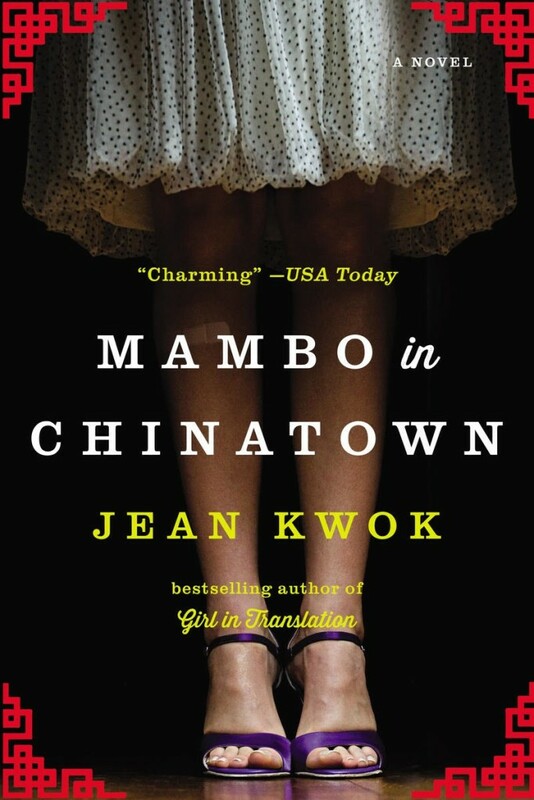 The following is from Jean Kwok's second novel, Mambo in Chinatown. Kwok was born in Hong Kong and immigrated to Brooklyn as a young girl. She received an MFA in Fiction at Columbia. Previously, she worked as an English teacher and Dutch-English translator at Leiden University in the Netherlands. It was late afternoon and I knew Lisa would be at Uncle Henry’s office in the heart of Chinatown, street number 88, which many people thought was lucky. It was one of the reasons he was so successful. After taking the elevator to the third floor, I stopped in front of the sign that read “Traditional Chinese Medicine, Henry Wong” and collected myself. Uncle and Aunt would frown upon anything less than serious behavior. I opened the door to f ind Lisa sitting behind the reception desk. The room was crowded with Chinese people who were waiting to see my uncle. Lisa ran to me as soon as I entered. “I got the job!” I said, trying to keep my voice low while jumping up and down with excitement. Lisa leapt into my arms and gave me a hug. The top of her head came up to my nose now. It was just like her to find the bright side. I wasn’t so sure I would have been comfortable working here. All around us were large glass jars containing wolf berry fruit, dried antlers and dehydrated lizards. “What’s that?” I pointed at a new jar, prominently displayed be- hind the desk. It was filled with what looked like pale, fleshy roots soaking in a light-colored liquid. We walked over to it, still keeping our voices down. “Snake penises in wine,” Lisa answered. “Is that legal?” I looked away from the jar. “Lisa.” It was Uncle Henry, standing in the doorway. There was a young man next to him. “Uncle Henry,” I said, greeting him with the honor due an elder. “Charlie, so glad you stopped by. Have you met Dennis? He has an undergraduate degree in pharmacology and has been opening my old eyes to modern science.” Uncle smiled at me and his face changed from stern to handsome. As always, he wore a dark green Mao suit, buttoned up to the neck. I decided not to mention my new job. If it didn’t work out, I didn’t want Uncle’s pity and it wasn’t much anyway, not compared with what someone like Dennis could do. I’d always wished I could be better than I was for Uncle. In high school, the only respect I ever got from the other kids was for being Uncle’s niece. Uncle Henry had a softer version of Pa’s features. I’d heard matrons whispering, “What a fine figure of a man Doctor Wong is,” even though most of his hair was gray by now. He was a traditionalist and refused to consume any sort of non-Chinese food. If he hadn’t had rice, then he hadn’t eaten. He and Aunt Monica had never been on a vacation away from their house. He didn’t see the point of wasting money, he said, although he would like to return to his home, China, some day. I remembered that when I was a child, he’d often paid special attention to me. He was the one who would sit at our plastic table in our tiny apartment and try to explain fractions to me. When Aunt Monica got impatient with me for not catching on faster, he would soothe her by saying, “Charlie is trying.” But that had changed as I’d grown older. “We need an extra pair of hands for a moment, Lisa,” Uncle said. When Lisa followed them down the hallway, I trailed after her. He opened the door of the examination room to allow Lisa to enter and I saw a woman lying on her stomach, acupuncture needles protruding from the smooth curve of her naked spine. The smell of mugwort drifted out to me. Uncle stepped in behind Lisa and Dennis, then turned to me with a smile. “Would you please watch the front office for me for a moment, Charlie?” With a little nod, he closed the door in my face. It was clear he remembered as well as I did the day I’d been fired from his office. When I was around twelve, before Ma had died, they had tried to have me help in his office just as Lisa was doing now. “I would be happy to teach Charlie,” Uncle Henry had told my parents. After that, I’d been banned from working in the office. I felt guilty that Lisa had been stuck with the job simply because I’d been no good at it. But at least she wasn’t a dishwasher. I would do anything to keep her out of the restaurant life. I’d been sitting behind the desk in the off ice a few moments when Aunt Monica and the Vision walked in, trailed by Todd, the Vision’s assistant. I stood and greeted them. “Aunt Monica, Mrs. Purity, Todd,” I said. Behind her back, everyone called Mrs. Purity by her true title, the Vision of the Left Eye, but none of us dared do it to her face. Like most children in Chinatown, I’d been taught to be afraid of her. She was considered the most powerful witch in the area, and people believed witches bound the souls of young children to themselves to serve them. Witches needed souls who would do their bidding to travel in between ours and the spirit world. They were even suspected of murdering children to gain their souls. As kids, we’d been forbidden to be alone with her. The Vision was small, her back more crooked than I remembered, dressed in too-short cotton pants and a flowered shirt, looking just like the hundreds of old ladies in Chinatown. She carried a red plastic handbag. Her face was shaped like an iron with a small pointed forehead and blunted at the chin, the brown skin unwrinkled and unflinching, and set deep in one socket was that wandering eye, roaming loose in the blankness of her face, staring where it would. Aunt Monica gave me a controlled nod. Her lips were screwed tight, her eyes cold under reddened, hooded lids. Her hair was white and had been for years because Uncle Henry didn’t want her to color it. He said the dyes caused cancer. It was well known that they’d been desperate to have children, especially a son, but they had not been successful. I remembered from my childhood that their house had been filled with fertility Buddhas and ancient drawings of plump, healthy boys. They believed that this would help bring a male child into their life. Aunt Monica had followed a diet of coconut and eggs, so the baby would have smooth white skin, and had stopped watching animal shows on television for fear that the baby would emerge looking like an ape. But no child came at all. “I got you to come with me, didn’t I?” said Pa. But then their laughter had died. Ma’s face had grown tight, as if with grief for something she had lost. Todd, the Vision’s assistant, gave me a friendly smile. He was tall, with hair that was shaved high up behind his ears in a partial mohawk. Despite his hairstyle, there was a sweet light in his eyes. I remembered him as a solitary kid from high school, where he’d been a few grades ahead of me. He’d been working for the witch for a while now. He was wearing neon green sneakers, and kept tossing the top of his mohawk out of his eyes as he cracked his gum. He was the least mystical person I could imagine. I didn’t know why the witch put up with him, except that possibly he was useful for carrying heavy things. “Yeah, I get by,” he said. “Yes,” said Aunt Monica in the half whisper she always seemed to use with the witch. My chest tightened with fear. It had been a while since I’d dated anyone. How did she know? And what was she going to say about me? “You are without equal,” Aunt Monica said to the witch. I choked and yanked my hand out of hers. Everyone around us looked impressed. The witch paused. Her eyes were open again. I managed to nod. My cheeks were on fire. Obviously the witch had looked into my future and seen that the only way for me to ever get a boyfriend was for me to bespell him with a used tampon, and now half of Chinatown knew that as well. Todd chewed vigorously on the gum in his mouth, trying not to laugh. “I have a new job,” I blurted, desperate to change the subject. I also knew how powerful the Vision was. While I’d already given up on my love life, I still had some hope for the studio now. She pressed her lips together and I was afraid she’d burst into tears. Wordlessly, she pressed his arm, then left. A few of the patients were already crowding around the Vision as I waved goodbye to Lisa and exited the office. My uncle’s patients and her clients often overlapped. While I was walking back to our apartment, I was filled with pride for my uncle. Turning over in my head the Vision’s bleak words about my future, I wished I had inherited some of his gifts. From MAMBO IN CHINATOWN. 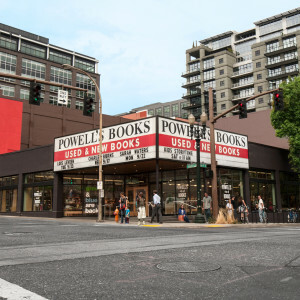 Used with the permission of Riverhead Books, a division of Penguin Randomhouse. Copyright © 2014 Jean Kwok.